Randy Newman is a member of the Newman clan, being related to the Alfred Newman, Lionel Newman, David Newman and Thomas Newman. As a song writer (see his "Land of Dreams" album and numerous songs performed by leading singers) he followed the example set by his father, Irving, who was a doctor by profession but composed songs also. But he was clearly also influenced by his uncles, Alfred, Lionel and Emil who were all heavily involved in the writing and production of music for the film industry. As a film composer, he has scored high profile movies including "Ragtime", "Maverick" and the three "Toy Story" movies. The two streams to his career frequently come together because he often writes one or more songs for those films he scores, including things like "Parenthood" and "Toy Story". Conversely he has written many stand-alone songs which have also been included in films, such as his song "You Can Leave Your Hat On" which was used in the movie "The Full Monty". With such a broad grounding in the industry it was only a matter of time before Newman was on the receiving end of a major award. In the 2002 Academy Awards, he was nominated for the 9th time in the best score category for "Mosters, Inc." losing out to Howard Shore's "The Fellowship of the Ring", but won the best song category for the song "If I Didn't Have You" used in "Monsters, Inc.". His style as a film composer is generally quite light, perhaps due in part to the significant number of family, comedy and children's titles he has done. Many of these have old-time themes using ragtime and swing jazz sounds for which Newman has an easy affinity. More recent soundtracks have ventured a little towards adult territory with "The Paper" and "Pleasantville", but rarely wandering too far (as yet) from the pleasant, family, light comedy world. Nevertheless he can display considerable skill in a variety of styles. "A Bug's Life" for example, though an animated family movie (albeit an excepionally well executed one), features Western-style music for the Ant's home field, Jazz for the City, some Circus Music and some threatening music for the Grasshoppers. One of Newman's first film scores was for the movie "Ragtime". Except in a few short places the music itself is not strictly Ragtime but uses a variety of period music styles from late 19th century music hall through to early Jazz. 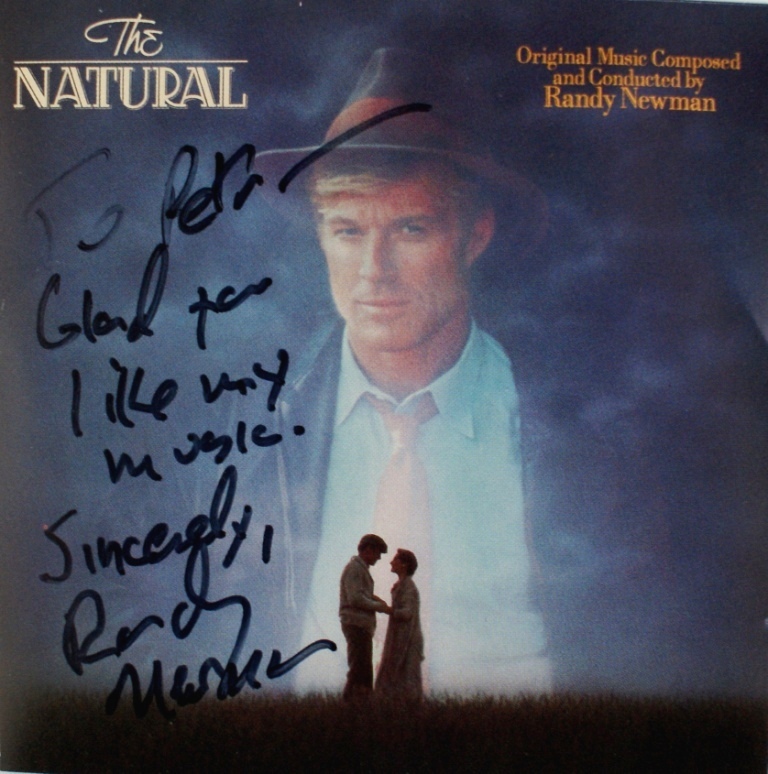 Solo piano (played by Randy Newman himself) features prominently and gives a suggestion of ragtime, and the main theme has an ability to wrap around endlessly as its final chord seems to demand another iteration. A single genuinely period song "I could love a million girls" was arranged by Newman and sung by Donald O'Connor. The overall effect is both period authenticity and melancholy, and demonstrates Newman's mastery of these forms. It's worth noting at this point that Newman has another life as a songwriter and has released a number of albums of his songs. These tend to be much more political or satirical than his family-oriented film music. One of his earlier songs is "You can Leave your Hat on" from the album "Sail Away" released in 1972. The singer Joe Cocker made the song popular and it was covered by Tom Jones whose version was used in the film "The Full Monty". He also wrote songs for other leading artists including "Mama Told Me Not to Come" for Eric Burdon which has also been covered by Tom Jones. Several albums later, Newman released "Harps and Angels" in 2008 and a number of his existing songs were used to create a musical of the same name. 2010 was a significant years for Newman with the release of Toy Story 3, the premiere of "Harps and Angels" in November 2010, and he also received a Star on Hollywood Boulevard. In May 2011 Newman was in the UK for a while and appeared on a number of TV shows promoting his new album "The Randy Newman Songbook vol 2". One of the chat shows he appeared on was "The One Show" where he was immortalised in this sand sculpture. Since then we have also seen the release of "Monsters University", sequel to "Monsters, Inc.". Randy Newman's son, Amos Newman also works in the industry, heading up the composer division of a large talent agency in Hollywood focusing on music for film, television, games, online and mobile. Michael - plus song "Feels Like Home"
Babe, Pig in the City - the song "That'll Do"
A Bug's Life - plus song "The Time of your Life"
Meet the Fockers - sequel to "Meet the Parents"
Monster's Inc. - with song "If I Didn't Have You"
Cars - including the song "Our Town"
Monsters University - sequel to "Monsters, Inc."
Monk (Mr. Monk) - Newman wrote the title song "It's a Jungle Out There"
Sheet Music Plus has a good selection of Sheet Music by Randy Newman including some song collections, the Randy Newman Anthology and The Best of Randy Newman. However, just released is the title "The Monsters Collection" which contains piano arrangements of 15 songs from the animations "Monsters, Inc." and sequel "Monsters University". This is available at both The Music Room and Sheet Music Plus (see book cover above). 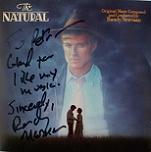 There is a fan web-site dedicated to Randy Newman at www.RandyNewman.com. 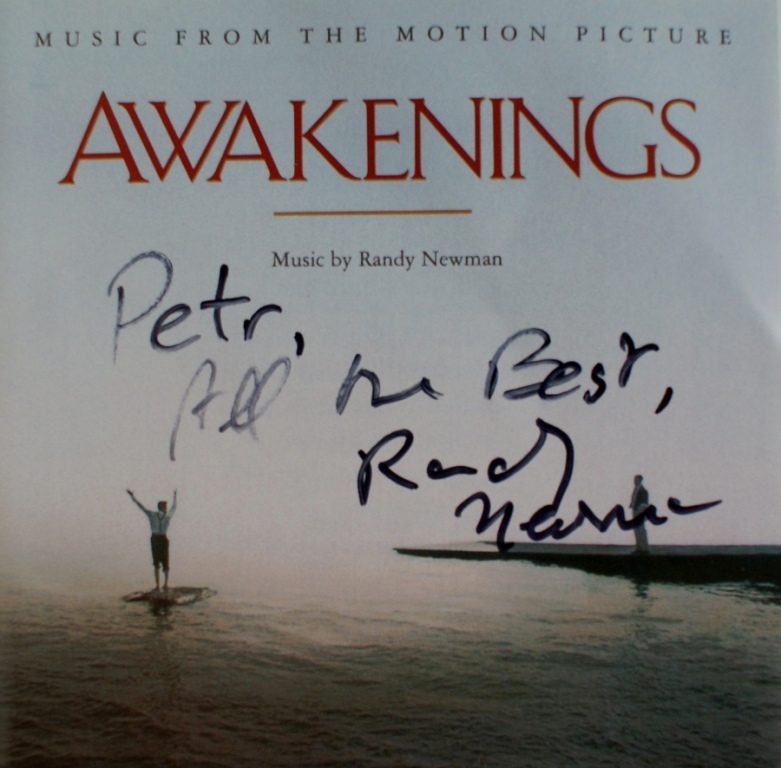 Here are some CD covers signed by Randy Newman. Our thanks to Petr Kocanda for permission to use his collection of autographed CDs. Click any thumbnail below to see the image full size in a separate window.